Fuchsia hybrid “Charm Neon white” Compact Charm & Chime series New Release for 2015. Height 30 – 40 cm Spread 40 -45 cm. Sepals Cerise red and corolla bright white. Perfect for pots, baskets and small gardens, Covered in prolific small flowers, part shade, filtered light. Moderate frost tolerance. 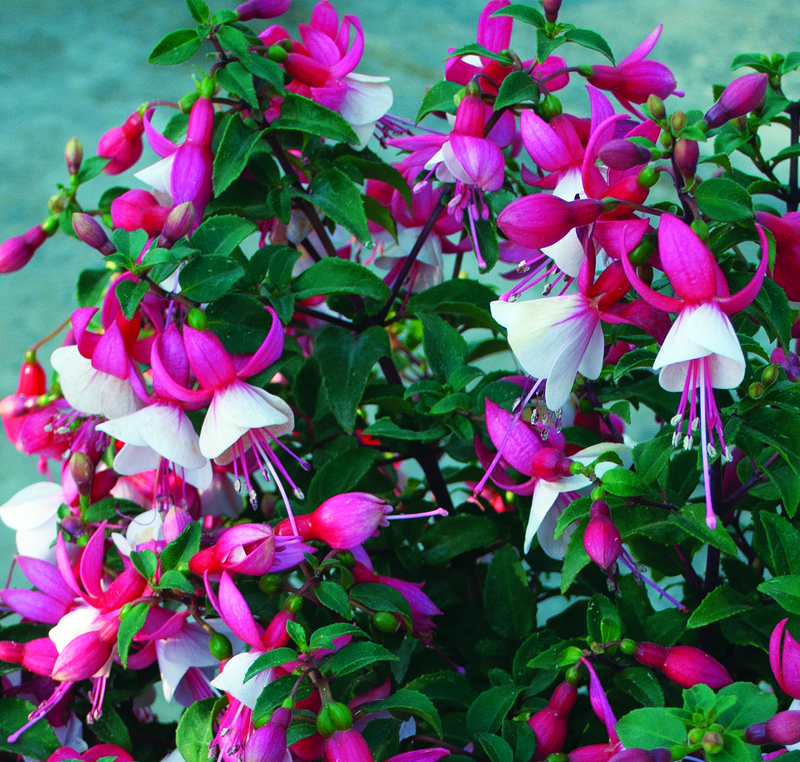 Wholesale Variety pack of 96 (Fuchsias Galore! Pack) Free Delivery!